A P. PATEL, DMD, FMIII, FICOI, is the Director of Surgical Implant and Reconstructive Dentistry at American Dental Care. Dr. Patel was voted for “Top Dentist in Delaware for 2012, 2015 and 2016” by Delaware Today magazine reader’s poll and by peer review respectively. His joy is treating each of his patients with the most modern of dental treatments, while welcoming new ones. 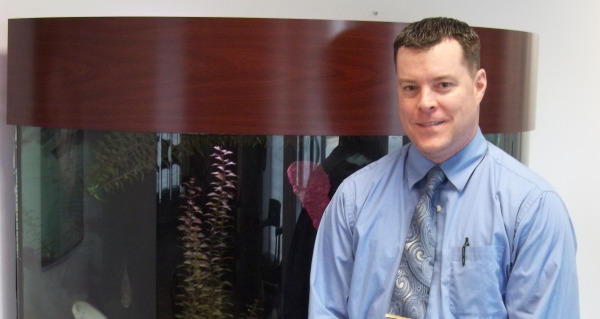 He respects that no 2 patients are alike, and his goal is to provide each long-lasting dental health and support. He is married and enjoys his time with his daughters, Jill and Jia. Dr. Patel’s father, also a dentist, has been a useful companion, friend, and mentor. He is a graduate of the University of the Pacific, California and Temple University, Pennsylvania where he graduated with top recognition and numerous awards including those for Oral Surgery, Periodontics, Endodontics, and Prosthodontics. Since graduating in 2002 he has completed numerous postgraduate courses in Advanced Comprehensive Dentistry and continues to commit over 100 hours per year to Continuing Dental Education. Dr. Patel’s patients enjoy knowing that he takes an active part in advancing the practice of modern dentistry with his interaction with other Doctors, Professionals, Hospitals, Institutions, and Organizations throughout the country. He is actively a member of the American Academy of Implant Dentistry, American Academy of Cosmetic Dentistry, the Academy of General Dentistry and the Academy of Osseointegration. He is a graduate of Dental Implant Surgery and Prosthodontics from top renowned institutions, such as the Misch International Implant Institute—the most revered Surgical and Restorative Dental Implant residency program in the world, the Maxicourse at NYU—designed and staffed by the pioneers of Implant Dentistry, and the Las Vegas Institute for Advanced Dental Studies (LVI)—the most revered Cosmetic and Restorative Dental program. He has further advanced his status in the dental field by achieving Fellowship status at the Misch International Implant Institute and the International Congress of Oral Implantologists—the world’s largest dental implant organization. Dr. Patel also shares his knowledge and expertise of Implant Dentistry from the podium, having lectured to hundreds of General Dentists, Oral Surgeons, Periodontists, and other Specialists. He has been a guest speaker for various large orthopedic and restorative companies like Zimmer, 3M, and Dentsply. My emphasis is on patient comfort as well as keeping up-to-date with the latest advancements in dentistry. I am committed to continuing education and advancing dentistry to provide you with the most modern and successful dental treatment available. This enables me to provide with the best quality of care in the field with confidence. I am very proud to be available to your family and welcome you to my practice with open arms. Dr. Fortin grew up on Maryland’s western shore, about 60 miles south of Washington,DC. He received his Bachelor of Science form Virginiatech. He attended the University Of Maryland Dental School and received his DDS degree in 2004. He has been the recipient of numerous awards, including Edgar J Jacques Memorial Award for excellence in oral surgery. Dr. Fortin was voted for “Top Dentist in Delaware 2016” by peer review. Dr. Fortin strength lies in the detail he applies to his work. He is meticulous about the intricacies that separate good dentistry from excellent dentistry. He will not limit himself to the typical parameters of a dental visit. He understands that there are circumstances that will take multiple chair visits to complete something to perfection. He does not finalize a treatment until the procedure is completed to perfection. The detail he puts into his dental artistry is what sets him apart from the rest. Dr. Fortin is constantly growing in his knowledge of dentistry through continuing education courses in the latest, most modern techniques and procedures. Dr. Fortin specializes in general dentistry providing the type of dentistry that is not only esthetic, but also stands the test of time. Dr. Fortin is an active member of American Dental Association,Academy of General Dentists and Delaware State Dental Society. When he's away from the office, Dr. Fortin enjoys the company of family and friends, traveling, hiking, running and the opportunity to explore all that the local cultures and geography has to offer. John N Russo, D.D.S. has been practicing dentistry for over 42 years. He is a graduate of Mt. Saint Mary’s and University of Maryland School of Dentistry. Dr. Russo is an active member of the Academy of General Dentistry where he has held many positions such as Speaker of the House, National President and currently serving on the Educational Foundation Committee. He is also a member of the Delaware State Dental Society, Academy of General Dentistry International, and American College of Dentistry. Dr.Russo has been on the dental resident selection committee and teaching staff of the Wilmington Medical Center for over 30 years. Dr. Choudhri, grew up in Delaware and received her Bachelor of Science in Medical Technology along with a minor in Biological Sciences from the University of Delaware. She earned her dental degree from the University of Maryland, Baltimore College of Dental Surgery. She then completed a General Dentistry Residency at the Christiana Care Hospital in Wilmington, Delaware. Dr.Choudhri is a member of the Delaware State Dental Society, the American Dental Association, and the Academy of General Dentistry. Dr. Choudhri is dedicated to providing professional care to all of her patients.